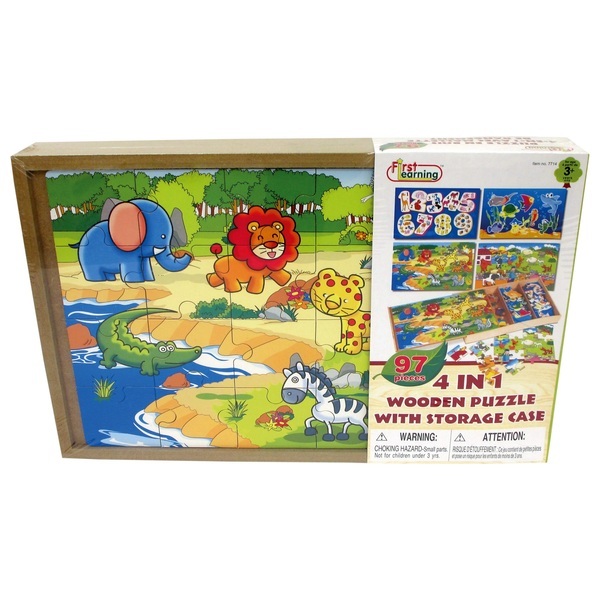 The 4 in 1 Wood Puzzle set, includes four wooden 24 piece puzzle and a wooden storage case. Each colourful puzzle features marks on back for a helpful solution guide. Styles may vary.